I’ll have to admit that I’d never heard of London’s Wellcome Library until this morning, when the announcement came via Twitter that the library was making more than 100,000 images available as high-resolution downloads. These represent hundreds of years of, as they say, “visual culture,” now available free of charge. Many of the images focus on medical and scientific subjects, but I of course had to do a search for horse-drawn vehicles anyway. What the heck, right? 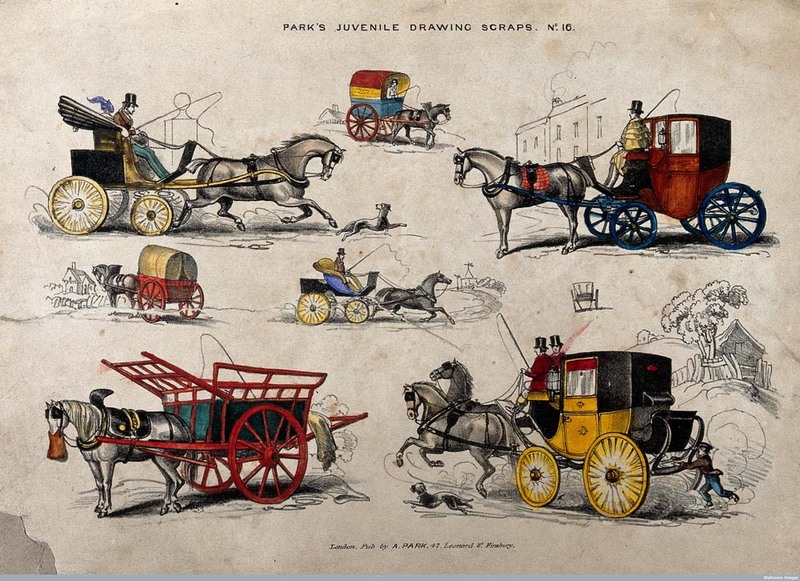 I did a quick Google search and found another one these Park’s Juvenile Drawing Scraps of horses and carriages (eBay). They say it’s circa 1820.